SPOTLESS SOUTHERN GEM!! Traditional four bedroom and two bathroom beauty in the heart of Piedmont, complete with irrigation system!! Step through the front door and immediately feel a sensation of warmth, comfort, and relaxation. 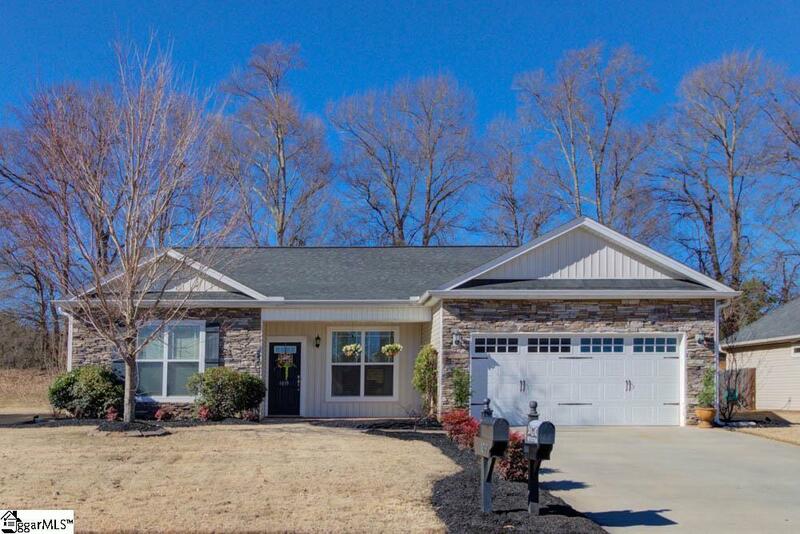 An inviting, open floor plan welcomes family and friends into the living room with lush carpeting, decorative molding, and ceiling fan, perfect for festive gatherings, movie night, game night, or curling up with a good book. Carry on the conversation with friends and family while they are in the dining room. With tiled flooring, continued decorative molding, and updated lighting, whether large dinners or small intimate meals, a space that allows consistent togetherness with family and guests in the kitchen or living room. Bring culinary fantasies to light and design festive feasts or tasty treats in the kitchen. Continued tile floors, recessed lighting, granite countertops, and beautiful wood cabinetry cooking masterpieces are sure to be created and served for any level of culinary experience. At the end of a long day, head to the master suite and escape to blissful sleep. Complete with tray ceilings, ceiling fan, crown molding, and large enough for oversized furniture, bliss, comfort, and relaxation will be found. Wind down from a stressful day or prepare for the next one&apos;s adventures in the en suite master bath, with garden tub, double vanities, and walk in closet. Three more bedrooms and an additional bath will delight family and guests and provide privacy, comfort, and peace. The fully fenced back yard will delight the outdoor entertainer! A covered, concrete patio is waiting for a grill and the spacious yard begs for a fire-pit. Enjoy company and served up grilled mouthwatering specials and enjoy star gazing and backyard games when the weather is nice. A spotless southern gem awaits! Schedule a personal showing today! !